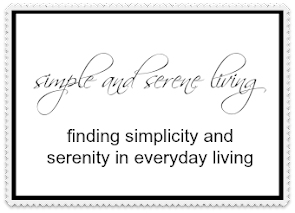 F Simple and Serene Living: ARE YOU DREAMING OF A WHITE CHRISTMAS? Sometimes I find myself dreaming of a white Christmas. When I was growing up in Canada, we always had a white Christmas. Christmas afternoon meant taking out the new toboggan to test it on the hills at the country club. 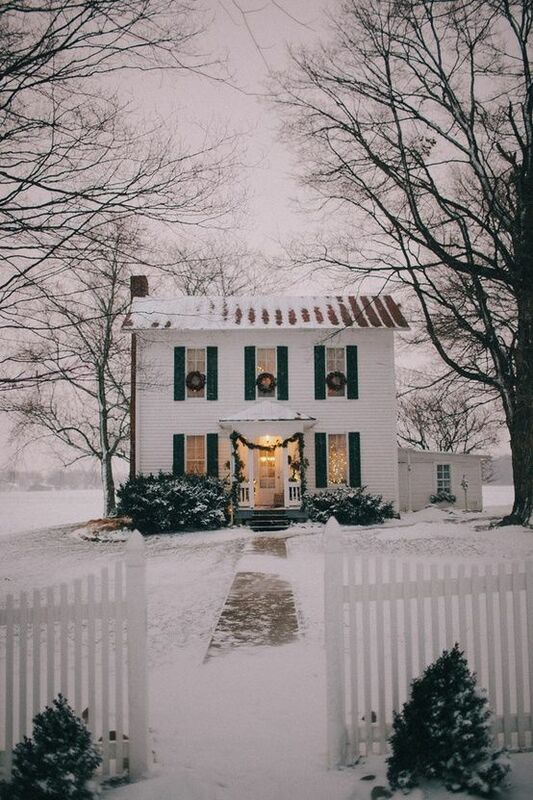 There is just something about Christmas and snow that fills us with holiday memories.. The many memories of childhood. Walking to our small downtown in the days leading up to Christmas to pick out the perfect gifts for my family. Of arriving home on Christmas eve and seeing the lights of the Christmas tree reflecting through the window onto a blanket of snow. The magic in the stillness of a snowy Christmas night. When it is so quiet that it seems as if there is nothing else moving on the earth. Of waking up on Christmas morning to the beauty of freshly falling snow. Although I have had white Christmases as an adult, they haven't been the norm. I will be spending Christmas in Atlanta so it is doubtful that we will have one, although we did a few years ago. Wherever you are in the coming days I hope that your days are merry and bright and that all of your Christmas memories are white. some lovely wintry fence scenes. :) we almost always had snow at christmas in wisconsin, too. Pretty photos - no snow yet but flurries here in Michigan! Hopegully you will get that snow for Christmas, Vicki. Merry Christmas to you Laura! I do love the beautiful of snow at Christmas. Just wish it wouldn't last so long. Have a Merry Christmas, Laura! That is the problem with Christmas snow. It doesn't seem to know when it has over stayed its welcome. Yep! I think the weather man jokingly gave Atlanta a 1.3% chance of having a white Christmas this year. Seriously! I laughed when I saw that statistic. I would love one though! I do remember a few years ago having one at night. We came home from visiting relatives and it started snowing and didn't let up for hours. It was thick enough to play in. We all went outside and grabbed the sleds from the garage and had so much fun sledding down the hill. Even our dog joined us. It was magical looking outside among the white snow and all the houses lit up around us with Christmas lights. The sound of neighbors playing outside at night was so neat too. 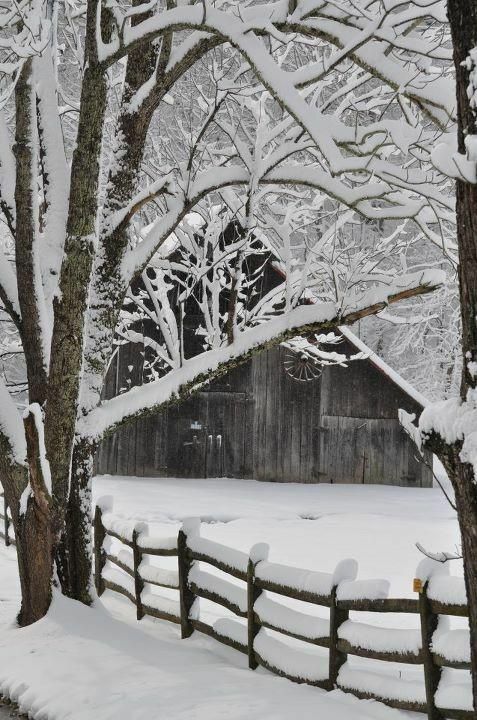 I guess, in the south, snow can be like a gift. We're not tired of it. It doesn't stick around long enough to get dirty and ugly. It's just pure joy! I think that must be the Christmas I was talking about. We were having dinner at my daughter's inlaws house in Roswell when it really started snowing. I remember that the drive back to the south side of Atlanta was a bit precarious. We've had many a white Christmas here in PA but thus far our weather's been mostly cold and gloomy, or rainy / freezing drizzle gloomy. Not much white yet.